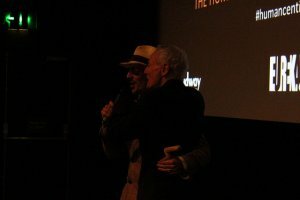 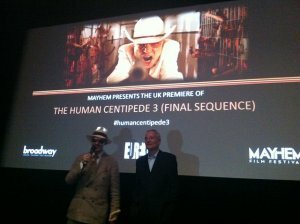 In July 2015, we welcomed Tom Six, Dieter Laser and Ilona Six to host the UK Premiere of the third instalment of the Human Centipede trilogy. 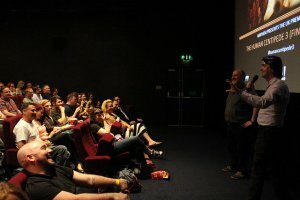 We also screened the first two films on the same day for the ultimate centipede fans. 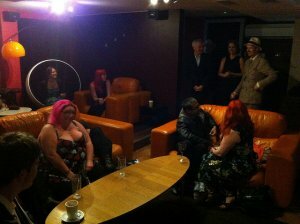 Writer/Director Tom Six, Producer Ilona Six and star Dieter Laser in Broadway's Lounge. 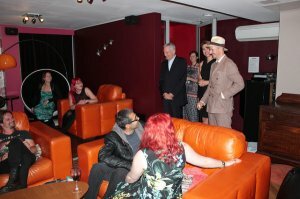 Tom Six, Ilona Six and Dieter Laser in the Broadway Cinema lounge, ahead of the screening of HC1 and HC2. 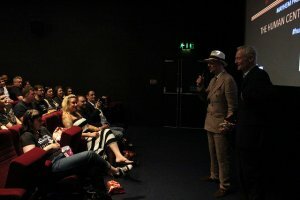 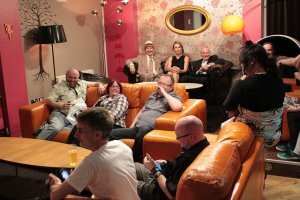 Tom Six, Ilona Six and Dieter Laser surprise the audience in the Broadway Cinema lounge, after the screening of HC1 and HC2. 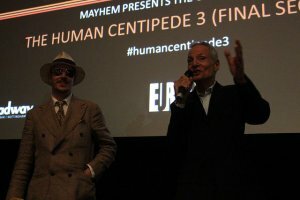 Dieter Laser, Ilona Six and Tom Six surprise some of the audience watching the first two Human Centipede films in Broadway's lounge. 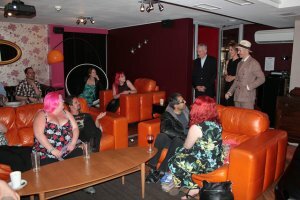 Audience members in fancy dress for the screening. 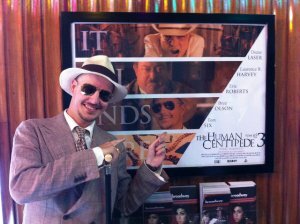 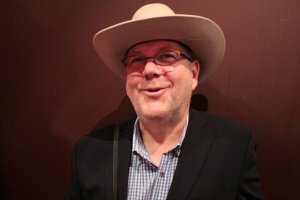 Ian Sadler from Eureka Entertainment, the company that brought you all three Human Centipede films. 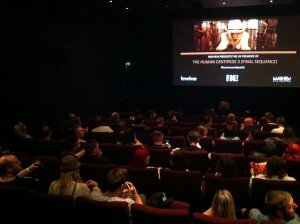 Sold-out crowd for the screening. 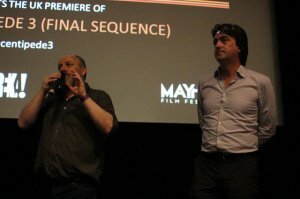 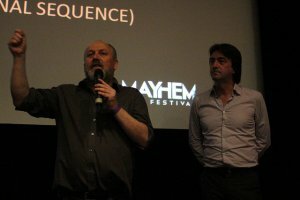 Mayhem's Chris Cooke and Steven Sheil introduce the film. 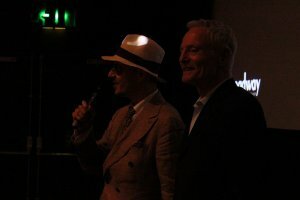 Tom Six and Dieter Laser introduce the film. 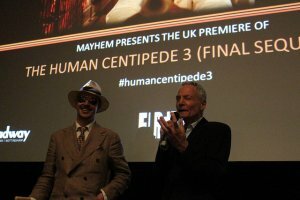 Tom Six and Dieter Laser introduce the film to a sold-out crowd. 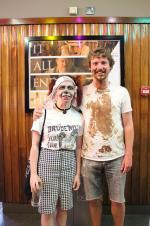 @JeanieFinlay @BroadwayCinema Tickets available now, and going fast!